I haven't shared my skincare routine in a while, like months, and I have been absolutely loving my skincare routine lately (and my skin has too) so I thought I would share what I have been using and lovely recently! Now before I start I just wanted to remind you of my skin type, particularly for those who haven't read my blog or heard about my skin before. I have drier skin, but I really struggle with acne and spots. That has been my main concern for years, so I am always on the hunt of skincare that helps without drying out my skin more then it already is. What I have been using recently has made a massive improvement in the appearance of my skin. 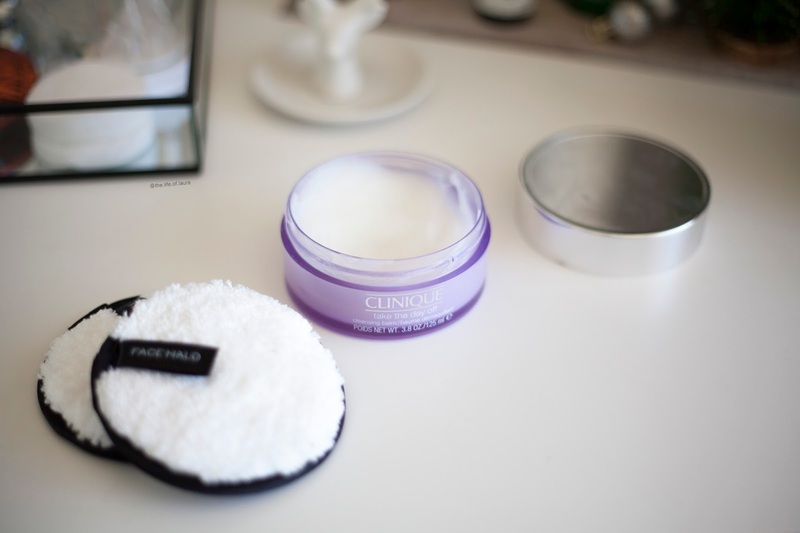 While I have dabbled with a couple of cleansers recently, I always keep coming back to my holy grail cleanser, the Clinique Take The Day Off Cleansing Balm. It is my absolute, holy grail cleanser at the moment. This is my second tub and I just love it. It is a thick balm that melts into an oil when you massage it into your face. You don't need to wet your face first or anything, just massage into dry skin and it melts away make up (even waterproof) easily. I sometimes use my Foreo to massage and cleanse my skin as well, or just use the balm by itself, but I love how soft and hydrated it leaves my skin feeling after cleansing. I have been on and off toners for years. I just don't think I had ever found something I absolutely loved. 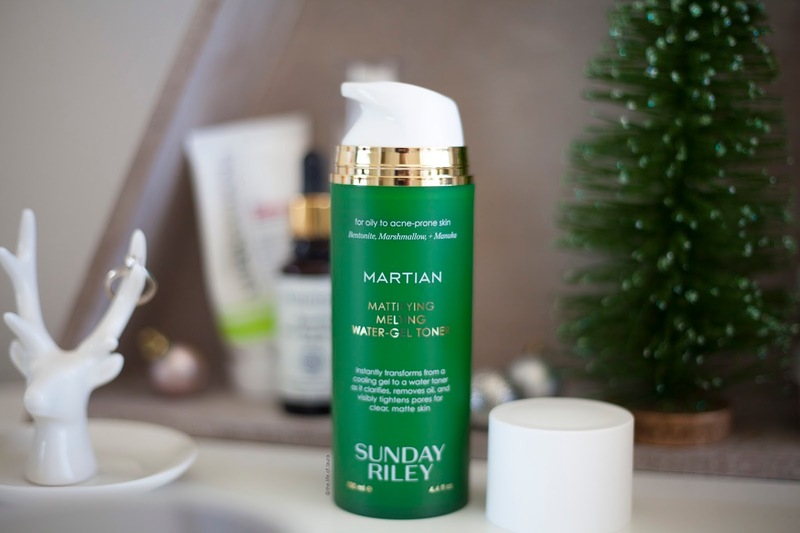 However, after Zoe Sugg's recommendation I caved and bought the Sunday Martian Mattifying Melting Water-Gel Toner and loved it. I ran out a few months ago, but a very beautiful and wonderful friend bought me another one recently, so it's made it's way back into my routine. I love this stuff because it helps clear up my spots, but is super calming at the same time. To me, this is probably the most important step because it's the stage of my skincare that really helps with any skin concern I am having. I have a couple of different serums that I'm using at the moment. 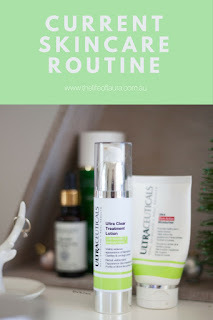 The first one is the one I use morning and night, which is the Ultraceuticals Ultra Clear Treatment Lotion. When I first started using it I would use it all over my face, now I tend to focus it on the area where I get spots (ie in my t-zone). 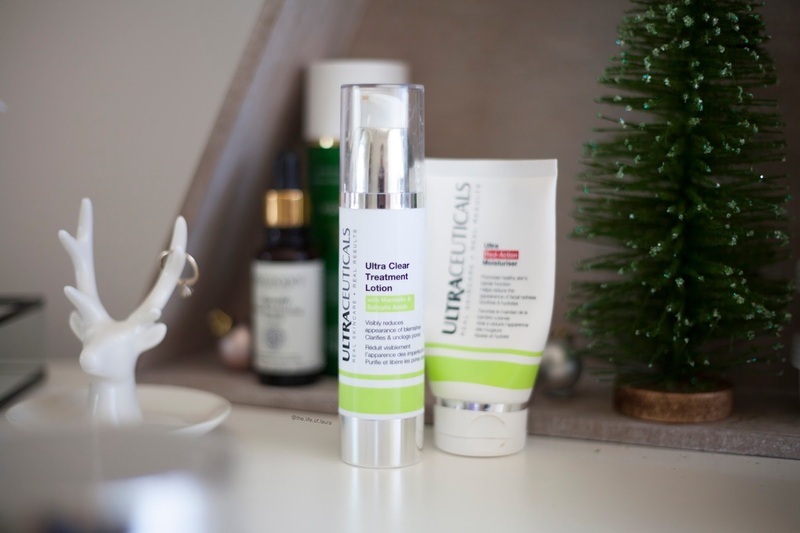 I have wanted to try Ultraceuticals for ages, especially after seeing the amazing results Rachel had after using Ultraceuticals. On a particularly bad skin day I caved and picked this up and I have to say I haven't looked back. I am seriously so impressed with how well this works for my skin. It has AHA's and BHA's in it (all the acids you need to help clear up spots), but also has Aloe Vera to calm the skin to avoid irritation. In conjunction with the Ultraceuticals lotion I also use two other serums. 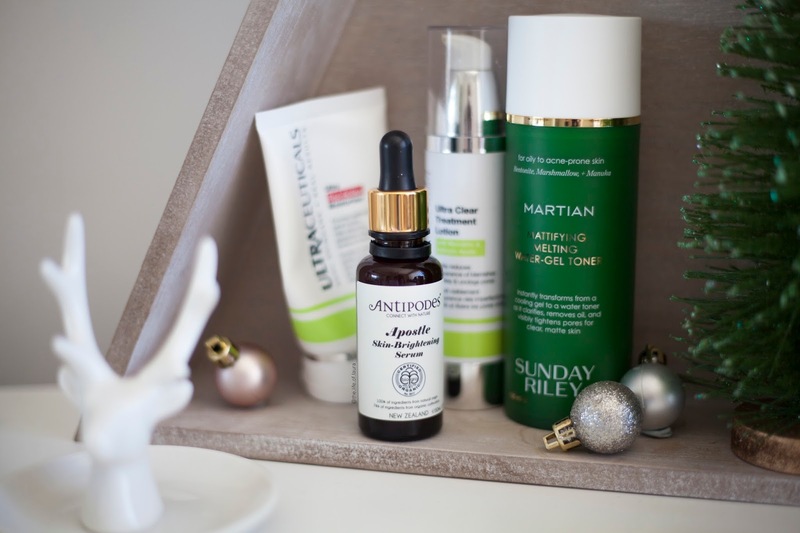 Next is the Antipodes Apostle Skin Brighten Serum*. Apostle’s key ingredient, Vinanza® Grape & Kiwi, helps target and reduce this pigmentation caused by the overproduction of melanin. Since my spots are starting to clear up I have been having some issues with scarring and pigmentation. I have been using this serum in the morning and loving how glowy and clear my skin has been looking. It has been the perfect summer pick me up for my skin. The other serum I use exclusively at night. 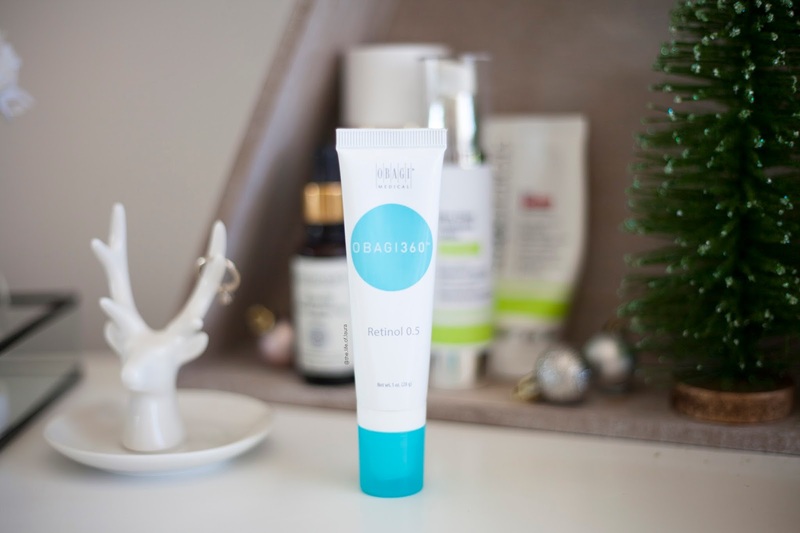 It is the Obagi Retinol 0.5%*. I haven't used Retinol in a while, but was excited to try this one when I received it. 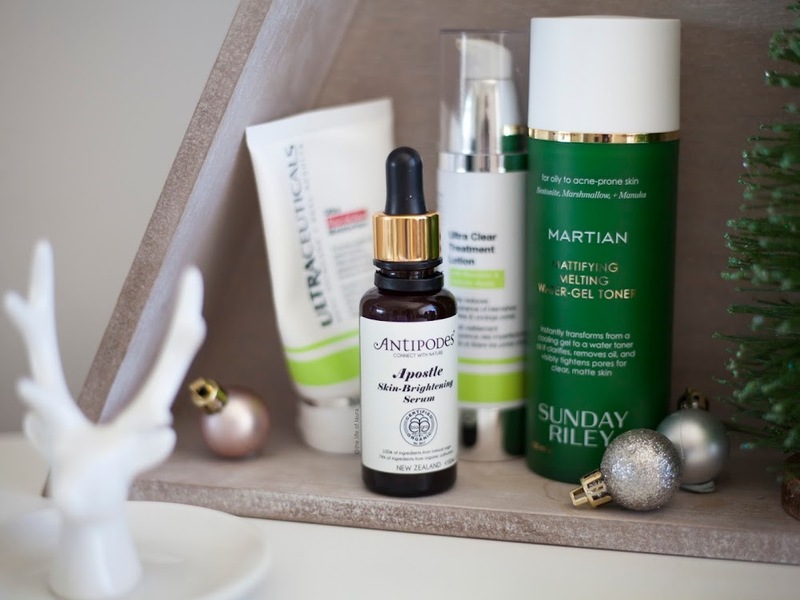 For those who haven't used Retinol before, it is designed to gradually smooth the appearance of skin texture (exactly what my skin has been needing lately). I have only been using this for a short while, a couple of weeks, but I have noticed that my skin is already looking smoother. I will have to wait a few more weeks to see more results, but so far I am really impressed! As I was kindly reminded when I got my make up done the other day, eye creams are one of the most important step. Your eye area is some of the most delicate skin on your body and it is also one of the first to show ageing. 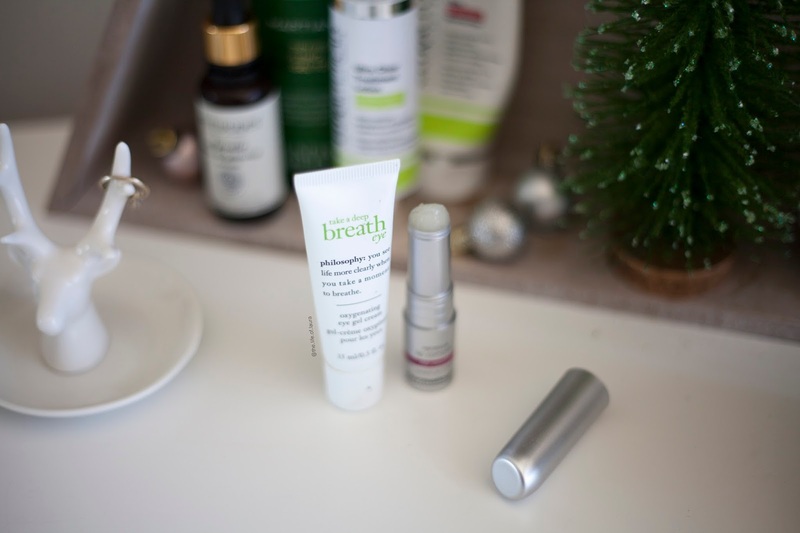 I have been loving the Philosophy Take A Deep Breath Eye Cream*. It is a really lightweight, hydrating eye cream which just brightens and awakens my eyes. It is cooling and refreshing and just everything I need at the moment. The very last step in my routine is of course my moisturiser (followed by SPF, but I'm not talking about that today). I have been using the Ultraceuticals Red-Action Moisturiser. It contains Niacinamide which is used to help reduce redness in sensitive skin. I picked this up when I got the acne treatment to help reduce my red, irritated skin and I love it. It is think but feels so light on the skin and has left my skin looking SO good. On lazy days I literally just use this and the Ultra Clear Treatment and it works wonders. I get the driest lips, so I always need to apply a lip treatment at the end of my routine. Lately I have been loving the Dermalogica Renewal Lip Complex*. It is designed to hydrate your lips while also fighting the signs of ageing. It has been doing wonders for my dry, chapped lips. Honestly, my lips have never felt better!